UP: Name three people you told after discovering you finished in the top seven. SL:I only told one person and then posted the UP Author image on my website and mentioned it on a discussion forum. Now that it is official, I will be telling everyone. UP: Where did the idea of Dirt come from? SL: Long talks with my father when he was ill. He would tell me about growing up during the Great Depression. A great deal of those stories ended up in the book – but with different characters and in a different part of the country. SL: Because I could never accomplish in two lifetimes all the things I dream about. I could never hope to write all the books bumping around in my head. But most of all, because I want all the good things I think about come to life. UP: Name just some of the careers you attempted before becoming an author. SL: I was an ER nurse, went back to school and earned an engineering degree, worked in energy analysis for awhile, moved on to the finance industry and finally, worked as a marketing manager in the tech industry before writing my first book. UP: When traveling at a young age, how did books keep you going? SL: When time would become boring, I would pick up a book and travel to another place and time, one that I chose. UP: What is the benefit of writing in several genres? SL: It gives me the opportunity to write the stories I care about. To me, there are no boundaries when I discover a story I want to put down on paper. I don’t want to limit myself when it comes to writing. Although I am enjoying writing YA. Kids are so unpredictable and have their own way of living life to the fullest. UP: How do you let the characters tell the story? SL: Characters are the story. Their every move, every piece of dialog, every scene they are involved in tells the story. I never write an outline that becomes restrictive when a character needs to move in a different direction. My characters seem to surprise me when a new emotion or dialog pops up and finds its way into the story. UP: Were you the only teenager that liked to read Shakespeare? SL: It certainly seemed that way at the time. It just wasn’t cool to be reading Shakespeare when everyone else was into movie magazines and romance books. SL: Write for yourself. Forget whatever is currently popular. The stories in your head are what are important – so put it down on paper. Most of all – learn your craft and love your craft. UP: Where do you see yourself in five years? SL: Hopefully on a bestseller list somewhere. 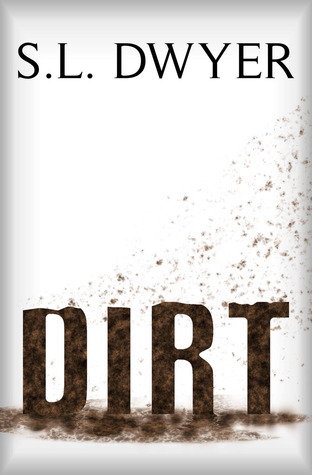 UP: What is your favorite scene in Dirt? SL: When Sammy finds Miz Danner on the ground unconscious. During that scene they both realize that they care for each other but are not willing to let the other know – at least not an out loud acknowledgement. UP: Is there anything else you would like to add? 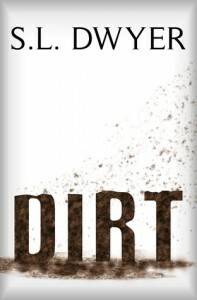 SL: I would like to thank all of you at UP Authors for the opportunity to present Dirt. You guys rock!